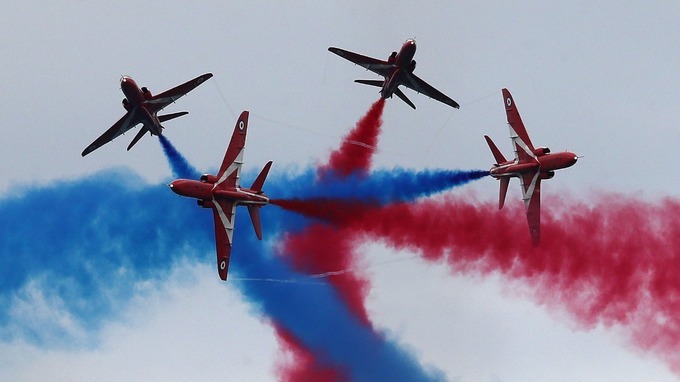 The Royal Air Force Red Arrow air demonstration team will perform at least two air shows in Canada as part of a North American tour in the late summer and fall. The nine-plane team of BAE Hawk jet aircraft will take part in the Gatineau-Ottawa Airshow and the Canadian International Airshow in Toronto. The team will perform at the Royal International Air Tattoo in the U.K. in late July before getting ready to cross the Atlantic to arrive in Canada on Aug. 8.